Last year, the Italian Competition Authority hit Apple with a 10 million euro fine over “dishonest commercial practices” related to an iPhone performance management system it introduced in iOS 10.2.1 without informing customers. The antitrust watchdog said the update was a form of planned obsolescence. 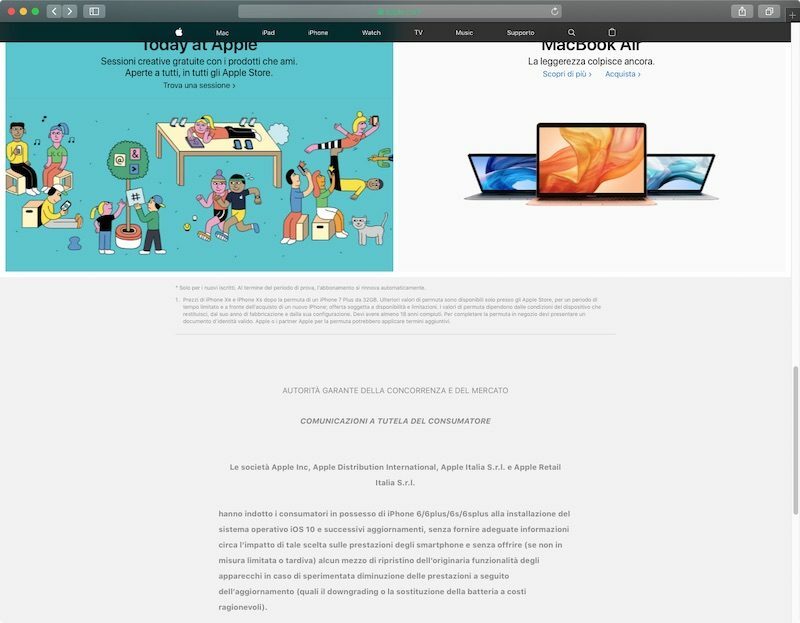 As a result of the investigation, Apple has been forced to add a consumer protection notice about these “incorrect” practices on its Italian homepage. The notice, loosely translated below, was spotted by setteBIT on Twitter. 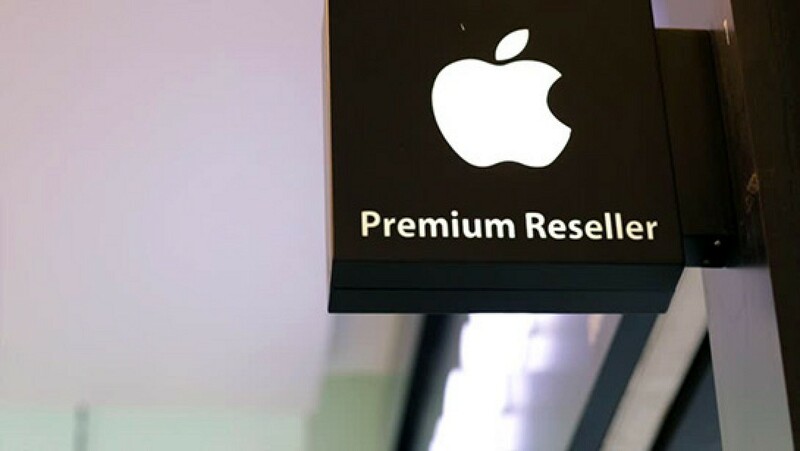 Apple, Apple Distribution International, Apple Italia, and Apple Retail Italia have led consumers in possession of an iPhone 6, iPhone 6 Plus, iPhone 6s Plus, or iPhone 6s Plus to install iOS 10 and subsequent updates without providing adequate information about the impact of that choice on the performance of the smartphones and without offering (in a timely manner) any means of restoring the original functionality of the devices in the event of a proven decrease in performance following the update (such as downgrading or a battery replacement at reasonable costs). This practice was assessed incorrect, pursuant to Articles 20, 21, 22, and 24 of Legislative Decree No. 206 of the Italian Consumer Code by the Italian Competition Authority. Why is Apple slowing down some older iPhone models? iPhones, like many other consumer electronics, are powered by lithium-ion batteries, which have a limited lifespan. As the battery in your iPhone ages, its ability to hold a charge slowly diminishes. A chemically aging battery can also have increased impedance, reducing its ability to provide a sudden burst of power when demanded by other components in an iPhone, such as the CPU and GPU. A battery’s impedance will also temporarily increase when it has a low charge and/or in cold temperatures. A battery with a high enough impedance may be unable to provide power quickly enough to the iPhone when needed, and Apple safeguards components against the drop in voltage by shutting down the device. Apple recognized that iPhones unexpectedly shutting down on users is not a good experience, and starting with iOS 10.2.1, it quietly implemented a power management feature to prevent these shutdowns. Last year, Apple denied any kind of planned obsolescence by flat out stating that it never has and never would do anything to intentionally shorten the life of any Apple product, or degrade the user experience, to drive customer upgrades. We have never — and would never — do anything to intentionally shorten the life of any Apple product, or degrade the user experience to drive customer upgrades. Our goal has always been to create products that our customers love, and making iPhones last as long as possible is an important part of that. Apple eventually eased concerns by introducing a Battery Health feature in iOS 11.3, with an option to disable the performance management system, and discounting the price of iPhone battery replacements throughout 2018.